The third alpha release of Ubuntu 8.04, codenamed Hardy Heron, is out. It now comes with PulseAudio that is enabled by default. PulseAudio is a sound server that allows you to do advanced operations on your sound data as it passes between your application and your hardware. Things like transferring the audio to a different machine, changing the sample format or channel count and mixing several sounds into one are easily achieved using a sound server. Aside from Linux, PulseAudio is compatible with Solaris, FreeBSD, Windows 2000 and Windows XP. It was no surprise to me since I have experienced using PulseAudio and even wrote about it when I reviewed Fedora 8. I said on that review that all other Linux distributions should adopt it because it will give the users the ability to configure their audio system like never before. 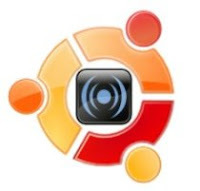 I expect all other distros to follow Fedora and now Ubuntu to utilize PulseAudio. You can visit PulseAudio's website @ www.pulseaudio.org. i am just wondering if KUBUNTU 8.04 is going to add this feature, becouse i love KDE and i really love music too. I would want PulseAudio in Kubuntu. I hope it is going to happen too. I say this, becouse, when Ubuntu said that they were going to make posible to apply Compiz capabilities by default in it, in Kubuntu that did not work in the same way.